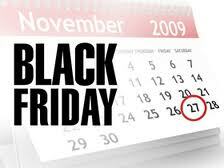 Black Friday is coming this week on Friday Nov. 23! -Prices will be slashed and bargain shoppers will be lining up early at their favorite stores. Even celebrities like to shop for a deal! -Generally 5am start time is pretty standard but some stores will open earlier or even be open all night from Thanks Giving Eve. Check the company's website for times. Well that is all for this week! Enjoy the shopping experience of Black Friday and Cyber Monday! Oh yeah and of course Thanks Giving with family and Friends! 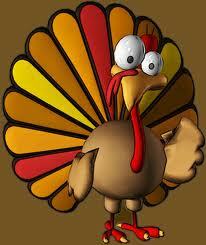 Happy Turkey Day to you! Gobble Gobble! A great article! I'm ready to take my bags and go shopping!